Several (including myself) are frustrated now with the low availability and high prices of ammo and not being able to practice and enjoy their firearms. Some are paying outrageous prices for ammo and accessories now, some companies are price gouging, and some people are waiting out this absurd and paradoxical dilemma. Some are panicking and rushing out regularly to buy just one box of ammo frequently, no matter the price. So how does a few million gun owners buying a box of ammunition regularly affect the quantity and availability of ammo for many. For that matter, how does the government buying over a billion rounds affect availability. All of the ammunition companies seem to be at full capacity, running several shifts of production several days a week. Ammo manufacturers don’t want to expand production because they fear the same gun control and ownership limitations legislation that gun owners worry about. 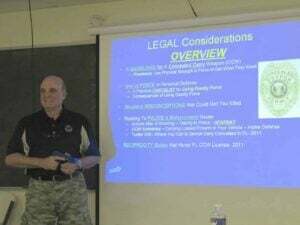 The ammunition companies as for-profit entities must consider their business risk and are not willing to invest the capital in new equipment, given the uncertainty about how future legislation will affect the ability to purchase ammunition and the restrictions. Florida even has a ridiculous House and Senate Bill pending now that would require an anger management class for those that purchase ammo. So, the frustrations, limitations, uncertainties, and shortages continue. Some believe that even if the demand stopped right now (highly unlikely), it would take ammo manufacturers at least a year to catch up on current backorders. Several of my bulk ammo suppliers have told me that my wait now would be 6-8 months, even given my frequent bulk purchases for my firearms classes. So sadly I must give you my opinion which is we probably will not see the usual “normal” ammunition supplies for the typical shooter for at least a year and maybe longer. Who really knows the answer, given the fluid fluctuations in the complex factors that influence this, but still I hate it. I want to understand it, so have drawn from my micro and macro economic experiences and studies and offer my over-simplified Supply and Demand analysis. Ammo price is a result of the complex interaction of the several forces of supply and demand. So it would seem simply that if demand increases, prices rise and if supply increases, prices fall. BUT recognize that Prices are never steady, regardless of the type of ammo product. 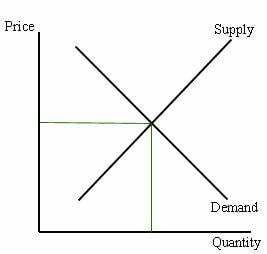 So, Higher prices decrease the demand and increase the supply, while Lower prices increase the quantity and decrease the supply. We know this from microeconomics. So, we reluctantly accept that the ammo market will move up and down adjusting the quantity of supply and the quantity of demand until they reach an equilibrium Price. When using the term “Demand” most shooters think the word means a certain volume of spending, as when we say that the demand for guns has fallen off or the demand for ammo is high. But that is not what economists mean when using the term. For economists, demand means not just how much we are spending for a given item, but how much we are spending for that item at its price, and how much we would spend if its price changed. There is a difference between “Demand” and “Quantity Demanded.” Demand refers to how much (quantity) of ammo is desired by buyers. The “Quantity Demanded” is the amount of ammo shooters are willing to buy at a certain price; the relationship between price and quantity demanded is known as the demand relationship. “Supply” represents how much ammo the market can offer. The “Quantity Supplied” refers to the amount of ammo producers are willing to supply when receiving a certain price. The correlation between price and how much of a good (like ammo) or service is supplied to the market is known as the supply relationship. Price, therefore, is a reflection of supply and demand. The Demand for ammo is the amount that buyers are willing to purchase and is determined by several factors. The Law of Demand says that when the price of a product (ammo) increases with no change in factors other than price, less product will be bought. So, Low price = more quantity demanded and High price = less quantity demanded. So, generally Demand for ammo works like this and greater quantities sell at lower prices and higher prices come from selling smaller quantities. But, there’s more to the story. So if Demand for ammo is predicated on several factors other than price, what are they. The most important of these are the shooters preferences, tastes, customs, income level, the quality of the ammo being offered, and the availability of competitors’ ammo. All of the above are vital in determining the price that an ammo manufacturer can command for its ammo. This is true whether the business is an ammo manufacturer, barbershop, a graphic arts firm, or a firearm magazine manufacturer. Ammo performance & future price expectations. The Law of Demand partly explains the behavior of a wide range of individual ammo buyers. Those buyers have many differences in ammo preferences/tastes and income that can shift market demand. The Law of Demand attempts to explain the complex market including all of these differences. Shifts in the demand sometimes overshadow the effects of price changes. This has caused some who do not understand the concept of ammo demand to doubt that the law of demand is valid. So, consider the Law of Demand and the shift factors when understanding our current dilemma. Together, demand shifts and price changes account for any changes in demand for ammo or any given product. We want to reach the ammo Equilibrium point which is defined as the price-quantity pairing where the quantity demanded is equal to the quantity supplied. Please understand that while Supply and Demand analysis is a useful precisely-formulated conceptual tool to help us gain an abstract understanding of a complex situation, it does not—nor should it be expected to—give us in addition an accurate and complete description of our actual existing ammo dilemma. So, realistically then what do we do now with the high price of ammo and all the uncertainty. 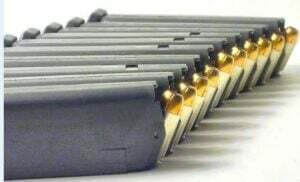 Given our current depressing gun control and limited/non-available ammo scenario and the need to regularly practice shooting skills and fundamentals, students ask me “what to do” and how can they “train with the shortages of ammo.” To me dry-fire practice with snap-caps with an unloaded firearm in the privacy of your home is a good, albeit not great, substitute for frequent live-fire range visits. Don’t become complacent and stop training, since your life depends on your skills and accuracy from practicing. 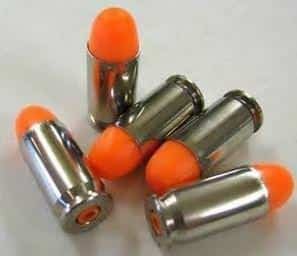 I myself refuse to pay $1 a round for 9mm or $2 a round for .45 practice ammunition, if I can even find it. Luckily, I do have some available ammo, but use it mostly for my classes, and can hold out for a few months. I will wait for the demand to stabilize and be unchanged so supply will increase and a surplus occurs, which will lead to the lower equilibrium price and I’ll be a buyer then. Just my “10 cents minus 8 cents” biased opinion. How long? Who knows for sure! Consider taking a class where the ammo is included in the total price, like my classes. The instructor probably has stockpiled some for students. At least you will be able to have ammo and shoot some. Hopefully, this current dilemma will change in less than a year, but I am “pessimistically optimistic,” given the many complex variables discussed and the whims of individuals. Hang in there and do your dry-firing at home and do a little live-fire training to reinforce your fundamentals and keep your skills up. See my article “Basic ‘5 and 50’ Practice Drill to Conserve Ammo & Lower Costs.” Also, pray in your own way. SUCCESS!